The Shark Tank is back – NNBA is hosting its 2018 Shark Tank Competition! Definitely a highlight of the conference and is scheduled for Sunday morning, after the opening remarks. The Rules and Guidelines for our nurse entrepreneurs and aspiring entrepreneurs to enter this event are below. NNBA’s Shark Tank does not require a business plan, financial statements or any supporting documents. It is literally “pure pitch”, with nothing but the value of your idea and presenting skills to support it. Who are the Sharks…stay tuned to find out! Prizes and awards will be presented so you don’t want to miss this fun event. 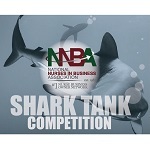 NNBA’S Shark Tank Competition takes place in two rounds. The first round, the Qualifying Round, will be based upon completion of the NNBA Shark Tank Registration Form. All competitors must register using the form below by July 31st, 2018. This date may change due to having selected five finalists, so get your registration in early! Submitted entries will be judged on: innovative idea, proof of market and competitive advantage (see more below). Those who advance to the second round, the Finalists, will then be notified and must register to attend the conference by August 5th to enable their eligibility for the competition and awards. This allows the NNBA time to have your picture and bio included in the conference program! NNBA Shark Tank Competition Finalists will have an opportunity to discuss their “pitch” with NNBA Shark Tank Advisor, Michelle Podlesni, before the conference. Pitches cannot exceed 5 minutes. Finalists are expected to deliver approximately five minutes worth of content. Each pitch will be followed by a five-minute question/answer session with the judges, who will ask questions or clarification regarding the pitch. All pitches will be judged on four criteria: innovative idea, proof of a market, demonstration of competitive advantage, and response to the judges questions. Innovative Idea: Because the NNBA Shark Tank focuses on drawing out new business ideas, the core idea itself is of elevated importance. In this category, a completely new idea with compelling potential will do well, even if the proposed details of its execution seem doubtful. Proof of a Market: Even the best products or services fail as businesses if nobody in particular wants to buy them. Therefore, each pitch should identify a profitable group of people with a unique need that the business would address. Demonstration of Competitive Advantage: Once the market is identified, if it is truly viable, it will probably already have businesses competing directly or indirectly for it. Each pitch should acknowledge these competitors and explain what would set its own company apart. If there are no competitors, the pitch should explain why the market is empty and how they can viably enter it. Response to Questions: Each final pitch will be followed by a five-minute question/answer session. The finalists’ ability to respond to the judges’ questions will be considered here, as will the soundness of the pitches under scrutiny.